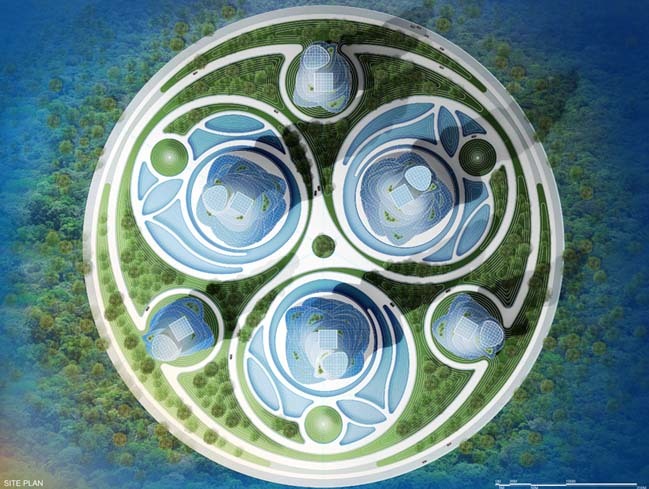 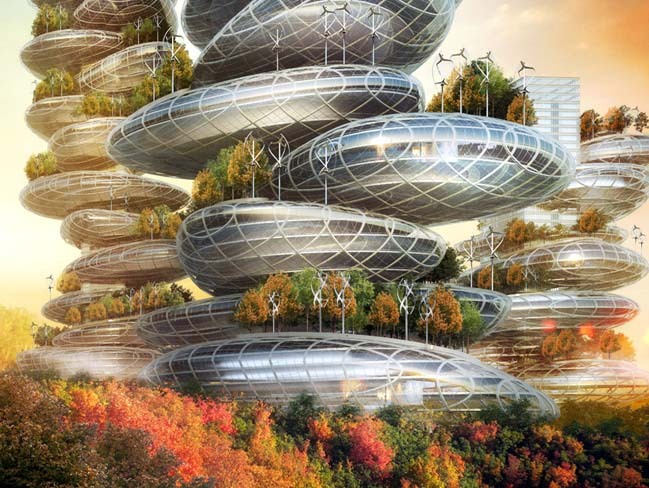 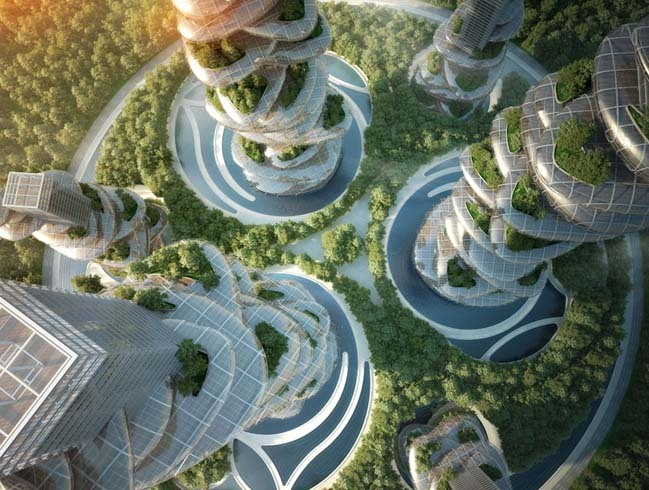 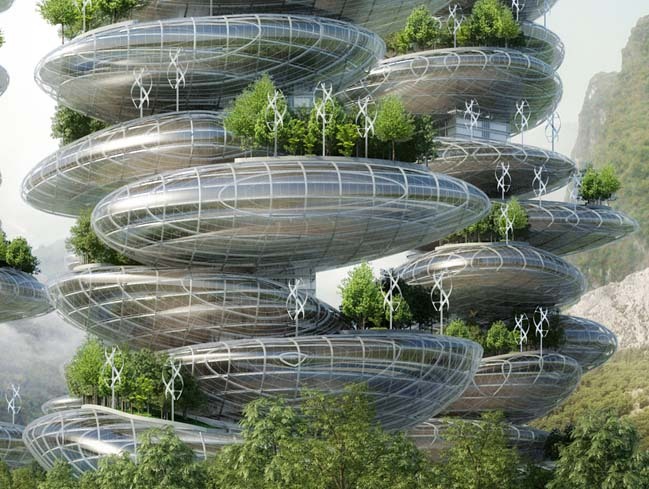 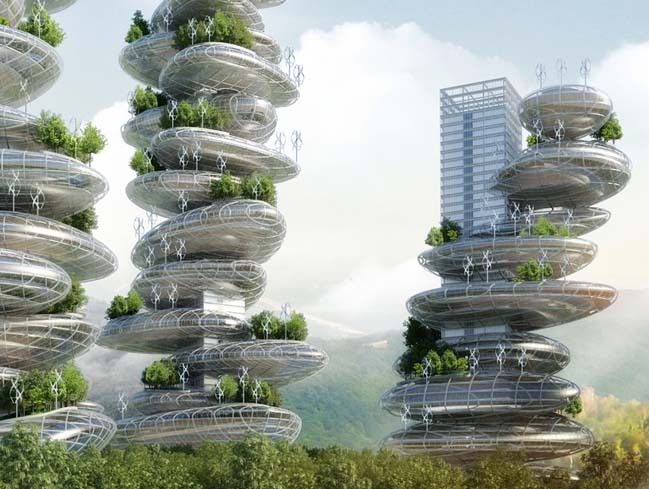 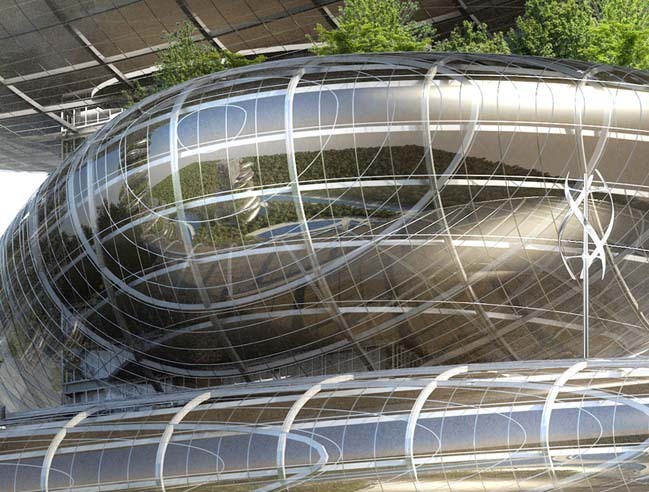 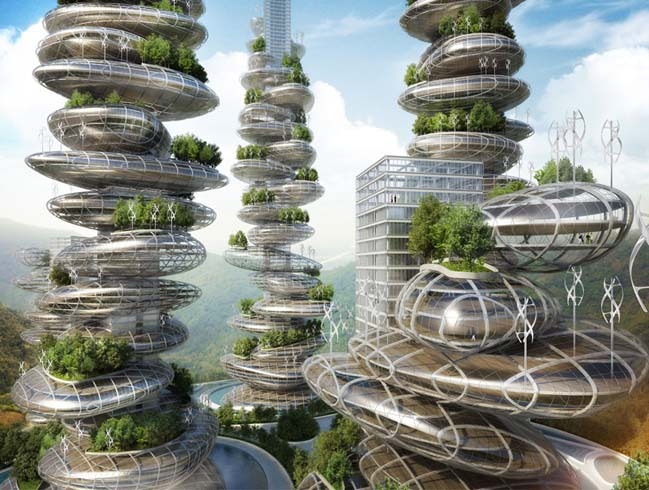 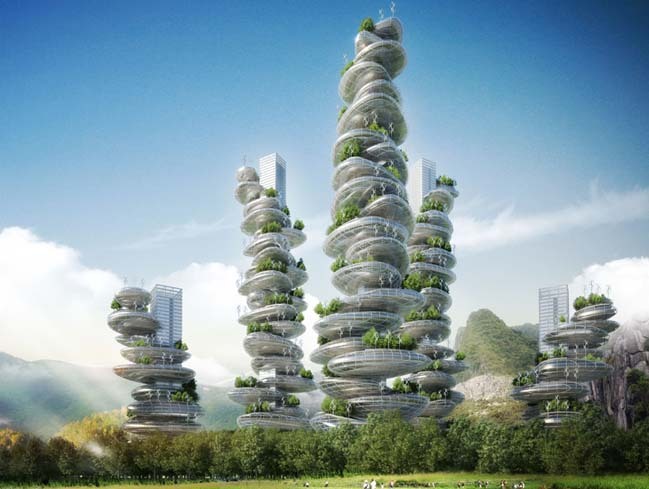 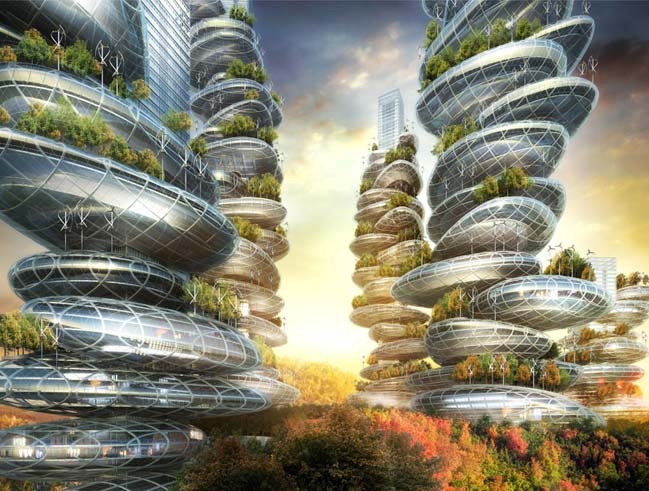 "Asian Cairns" is an amazing project of Vincent Callebaut Architectures to rural urbanization in Shenzhen, China. 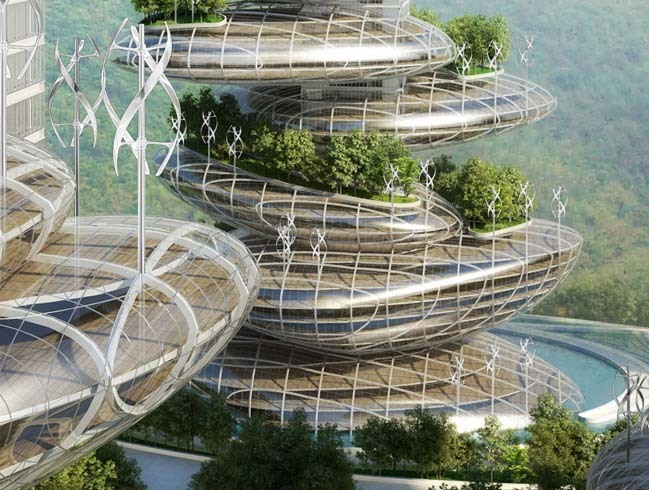 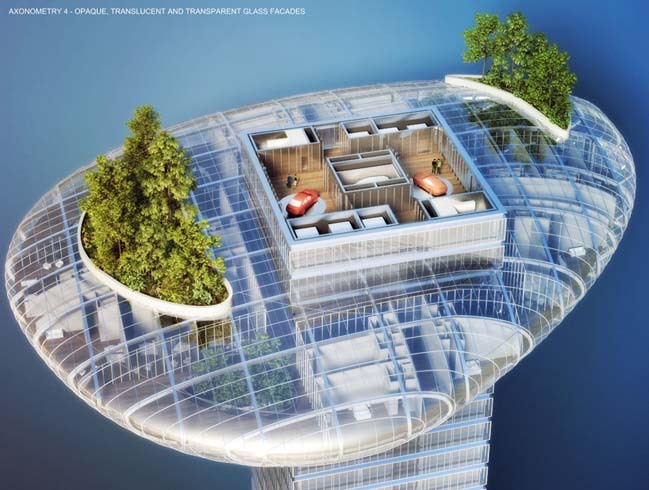 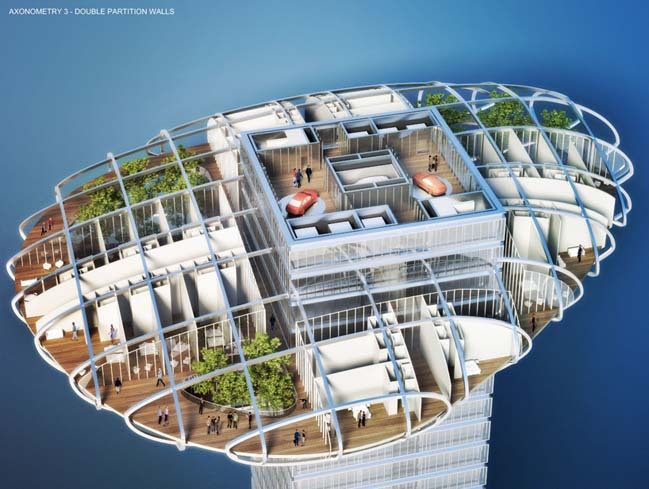 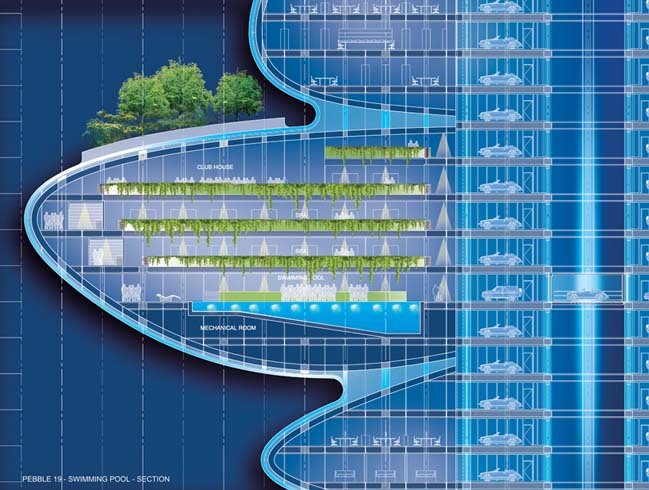 With a unique futuristic architecture including stacked stone shaped skyscrapers with green surrounded on each floor. 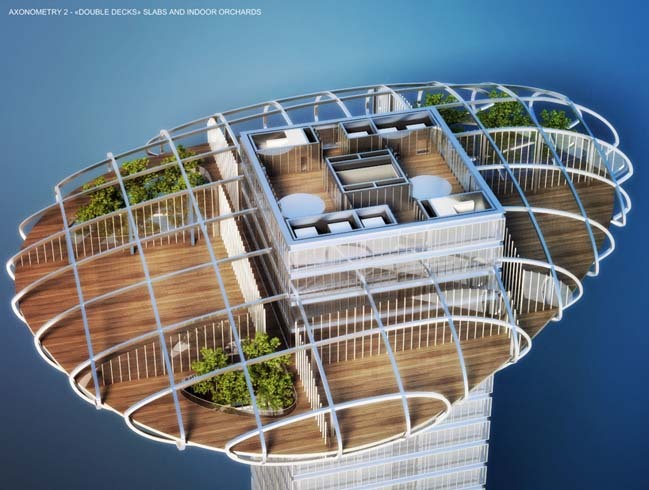 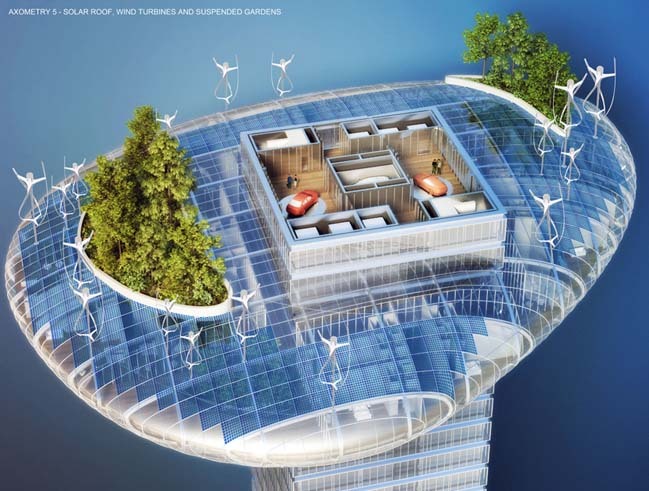 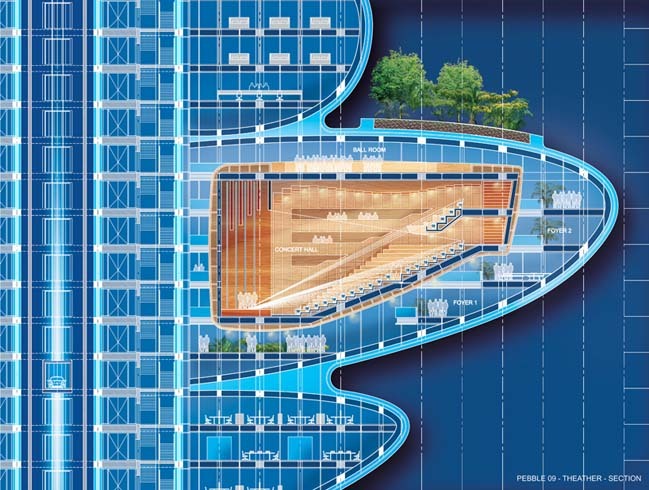 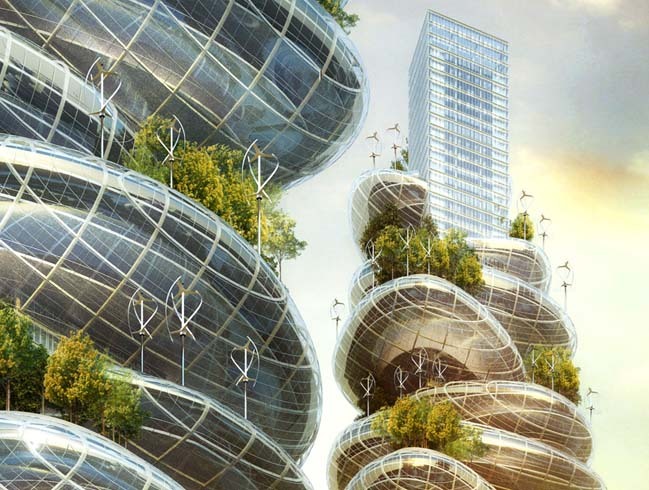 In addition, the project is considered a green architecture through the use of clean energy by harnessing energy from the wind and sun. 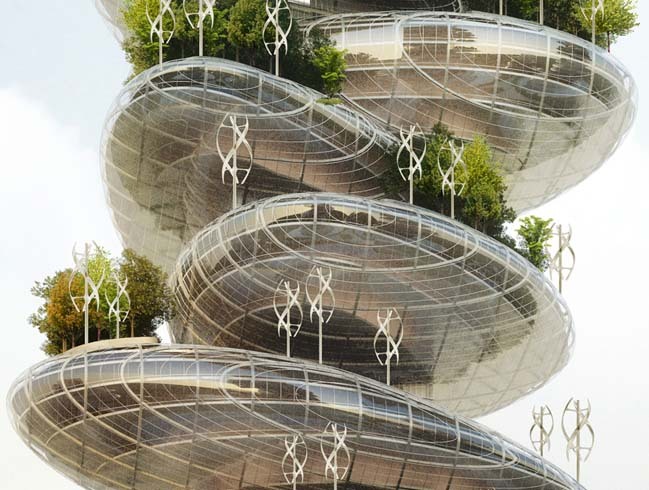 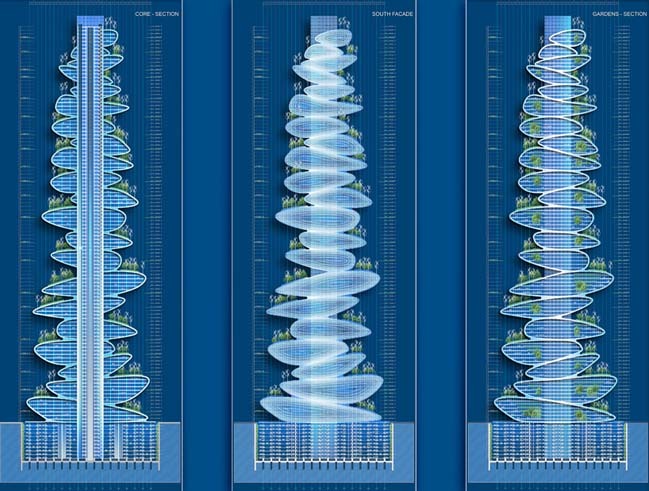 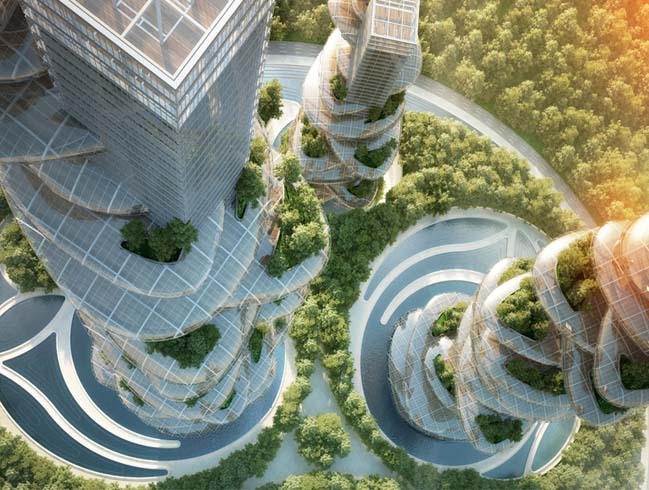 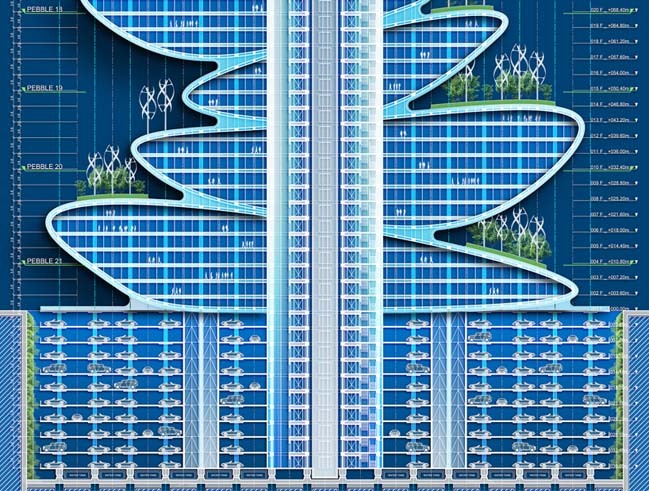 The towers in "Asian Cairns" use biomorphism and bionics to make an architecture that becomes cultivable in the emerging chinese megalopolis of the pearl river delta.